Nature has many surprising scenes for us, geysers are one of them which presents a very surprising scene. They suddenly erupt a column of hot water and steam to hundreds of meters in the air. Watching geysers in action is a very exciting experience, but they may be dangerous too if you are too close. 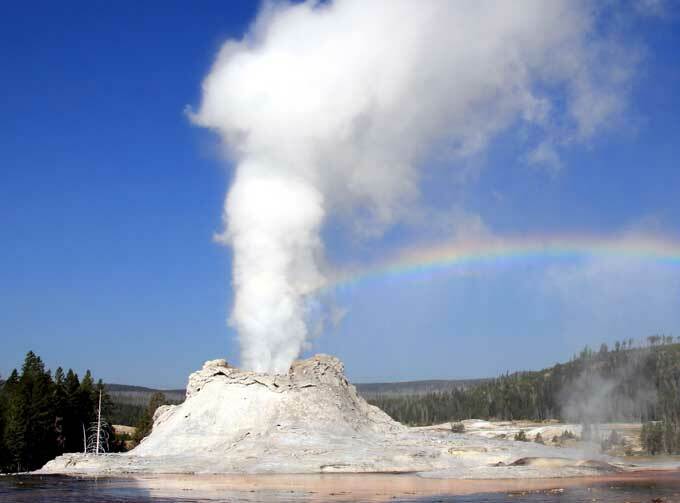 A geyser is a fountain of water that erupts hot water and steam at high pressure. The eruption of geysers does not occur continuously. Instead, it occurs for some time and then stops and again continues. Also, the eruptions usually occur suddenly without any notice and may reach several hundred meters high in the air. Geysers are one of the geological features that form and vanish permanently – most of the time. It is because the formation of geysers requires 3 geological conditions. These geological conditions are heat, availability of water, and cracks in the ground. Heat causes the water to heat-up and forms superhot steam, while cracks allow the water to seep through and come in contact with the hot rock. Actually, cracks form an underground plumbing system and cavities in the rock for water storage and ejection. Geysers are often found near volcanic sites because these three conditions are easily met there. But it is not necessary that geysers always form at volcanic sites. Anywhere in the world where the three conditions are met – geysers are formed. 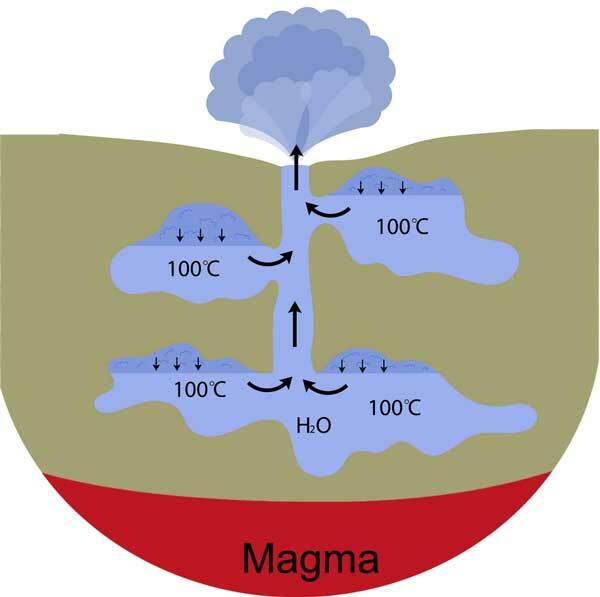 How a geyser erupt when all the three conditions are met? It starts when water seeps through the cracks in rocks. The cracks provide an easy path to the water, which is then stored in very deep cavities. The rocks at such depth are heated by magma below it. The heated rocks then heat-up the water that is in contact with them. Heating the water produces superhot steam in cracks and cavities. The superhot steam has very high pressure which burst through the vents of the geyser violently! Our planet’s largest and a large number of active geysers are found in the basins of Yellowstone National Park. The study of 2011 at Yellowstone revealed that there are about 10,000 geological features found in Yellowstone. Among these features, there are about 465 active geysers. There is a valley of geysers in Russia called the Kamchatka Peninsula has about 200 active geysers. This large number of geysers make this valley 2nd largest in the world. World’s largest geyser was in the Taupo Volcanic Zone, which is now known as Waimangu geyser. This geyser started to erupt in 1900 and continued to erupt for four years – until 1904. The eruption of this geyser was sometimes so fierce that it could reach 500 meters in the air. 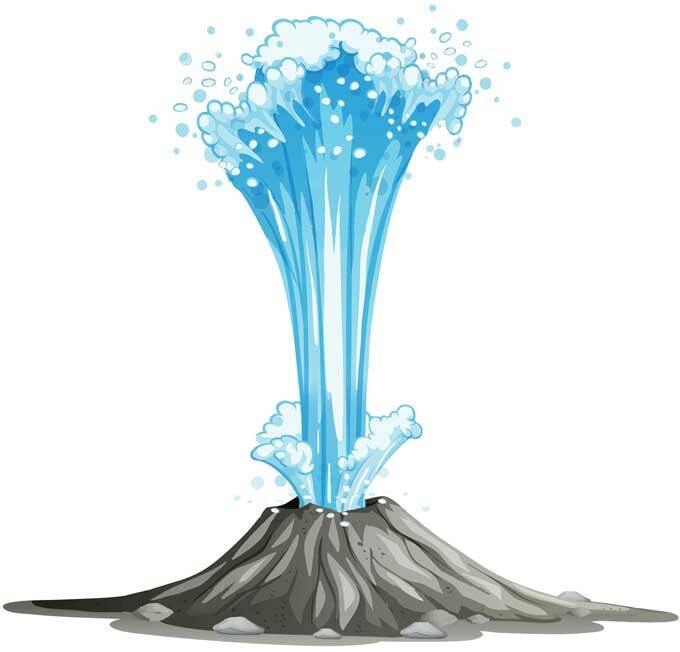 Abdul Wahab, "Geysers," in Science4Fun, April 12, 2019, http://science4fun.info/geysers/.